THE DRASTCS have set the world a blaze with their unique style of heavy roots dub reggae, taking inspiration from past masters (King Tubby, Lee Scratch Perry, Augustus Pablo) and blending in afro-beat, jazz, hip-hop, dancehall, and R&B. Formed in 2003 from the ashes of rock-steady soulsters The Zvooks, The Drastics quickly made a name for themselves with the release of their 2005 debut album “Premonition”, featuring guest vocalists and musicians from Chicago (Vandell Harris, Prince Gonzalez), Boston (Westbound Train members and Craig Akira Fujita from Pressure Cooker), New York (King Django) and Germany (Dr Ring Ding), giving the album many more flavors than originally expected. “Premonition” even appeared in a top 2005 column in The Beat magazine, and received praise in countless magazines and reggae websites. 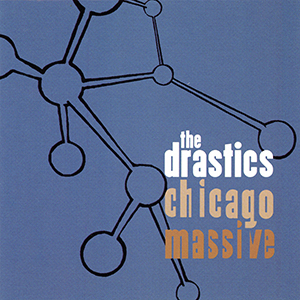 With their sophomore effort “Chicago Massive”, The Drastics seriously upped the ante with 24 musicians collaborating over a two disc set. Disc One contains hard dubs and instrumental versions of Drastic riddims ranging from roots, rub-a-dub, dancehall, and hiphop/reggae hybrids, while Disc Two features eleven vocalists including Dr. Ring Ding, King Django, Todd Hembrook (Deals Gone Bad), Fada Dugou, Zulu, Corey Dixon, and a host of MCs and vocalists from the Chicago underground.